The virtual tour we produce for use on your website is not on a timeline which enables the viewer to look at wherever they wish to in whatever period of time they choose. YouTube is for videos and videos run on a timeline. The best duration of time for a YouTube information video is up to 4 minutes. YouTube is a huge search engine now owned by Google. Google realise that people were 'You Tubing' on an ever increasing rate and into the future, would equal those who 'Google'. 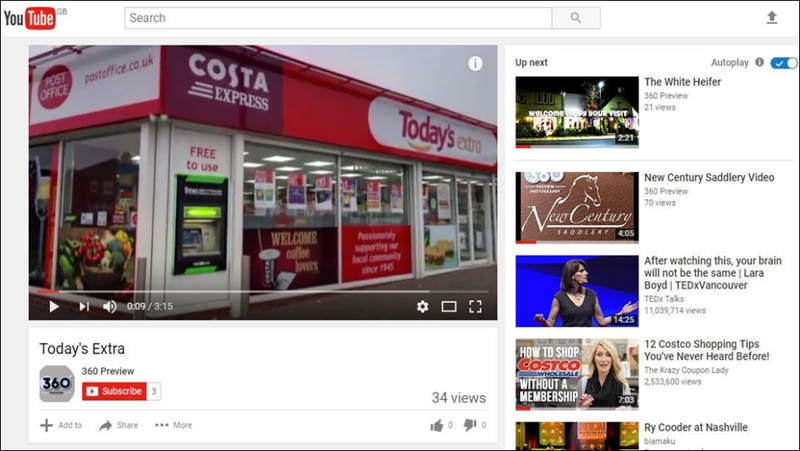 We harness that exposure potential by producing a 360° You Tube video for you. The video acts as a preview to your virtual tour and from within the video, viewers can click on the link that will open the virtual tour on your web-site. This way the video gains additional exposure to your website which the viewer can now explore.